If you are looking for a few resources for yourself or your family for Holy Week, that time between Palm Sunday (this year, April 14) and Easter Sunday (this year, April 21), check out a few of my favorites below. However you choose to observe this time, I hope it is a season of reflection and deep gratitude. Story Warren favorite, John Hendrix, wrote and illustrated this beautiful children’s book. Loren Eaton reviewed it a few years back for SW. It is an account of Jesus’ earthly life, with special emphasis on His death and resurrection. My favorite illustration is probably the one from Resurrection Sunday! 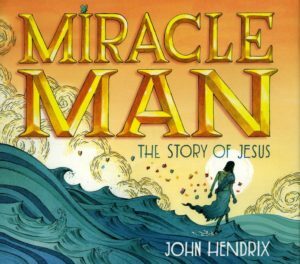 Miracle Man is available at Amazon, the Rabbit Room store , and most other places you’d buy books. 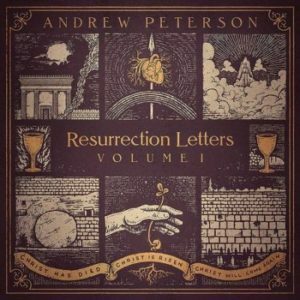 (Note for you music nerds: the album actually ends on an unresolved chord, as the Earth and God’s people await the resolution that the Resurrection brings. It might make you itchy for resolution, which is the whole point.) Available at The Rabbit Room and anywhere else you might buy music. For the kids who are older elementary and middle school age, this book by Doug Powell is an exploration of Jesus’ death and resurrection from a scientific and historical approach. 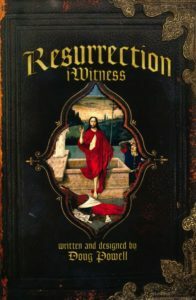 It includes maps, drawings, photos, and historical theories surrounding the events of the crucifixion and resurrection. The format is an “investigation,” so the pages are thick and have lots of flip-up tabs and folders to explore. My kids have spent a good deal of time with it. You can find it here. A couple years ago Russ Ramsey worked to synthesize all four of the Gospels into a day-by-day account of the week leading up to Resurrection Sunday. Each post is linked to the pertinent Scripture passages. My favorite of all is probably Good Friday in Real Time. Ramsey says, “…I continue to be moved now by how many pages of Scripture are devoted to that eight-day span. There is no other place like it in Scripture—so many words devoted to so brief a window of time.” These posts might serve as a nice daily meditation for your private devotional time or family worship. I’ll be back soon with a review of the most recent Holy Week addition for our family: The Corner Room’s With His Wounds We are Healed.